And Vampirina’s not just here for Halloween; she’s here to stay! Starting this November, you’ll be able to meet her every day in an all-new character greeting location in the park’s Animation Courtyard. Vee will be hanging out in a replica of her room, excited to see you and snap a photo. If you have little ones who love Vampirina, you’ll definitely want to put Disney Junior Play ‘n Dine and Disney’s Hollywood Studios on your must-do list for your next trip to Walt Disney World Resort. It’ll be fangtastic! 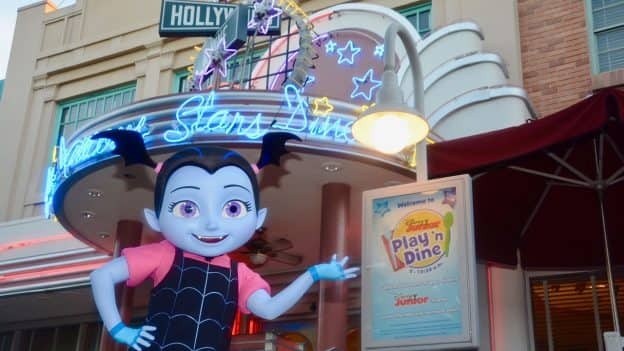 Will Vampirina be at Hollywood Vine for breakfast in July 2019? hello, will Vampirina ever appear at any other Disney world parks or is it just Hollywood studios? Is Vampirina available at the Disney Jr Breakfast at Hollywood & Vine everyday, or is it just special appearances by her at random? Also; how early should you arrive for your reservation? Is it just breakfast that Vampirina will be there? Yeremis – Disney Junior Play ‘n Dine is only offered at breakfast, but later in the day you can meet Vampirina and other Disney Junior pals in the park’s Animation Courtyard. Lunch and Dinner at Hollywood & Vine feature Minnie Mouse and pals in seasonal parties (currently Halloween). Will Vampirina be at the Animation Courtyard By November 5, 2018? Miranda – Vee started greeting her fans in the Animation Courtyard this weekend, so you’ll definitely get to meet her during your visit in November! Hi there! 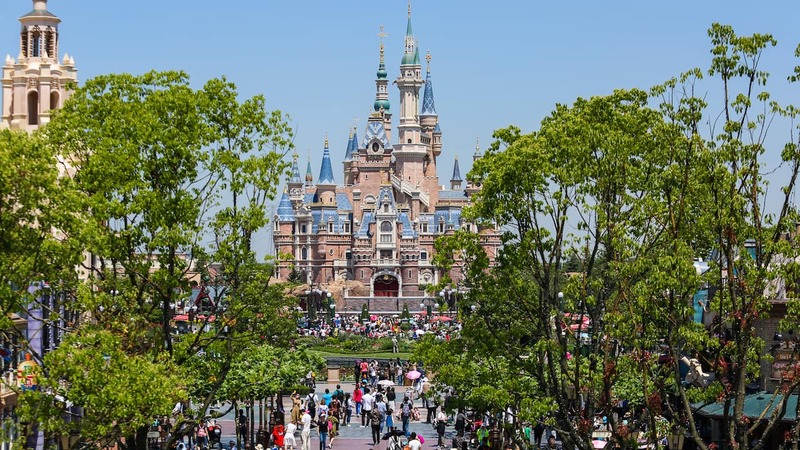 Can you confirm if the new Disney Junior Dance Party will be up and running by December 6th? Thank you! Justin – The opening date for Disney Junior Dance Party at Disney’s Hollywood Studios has been announced as December 22. Vampirina Arrives at Disney Parks This Weekend – Here’s Your First Look!